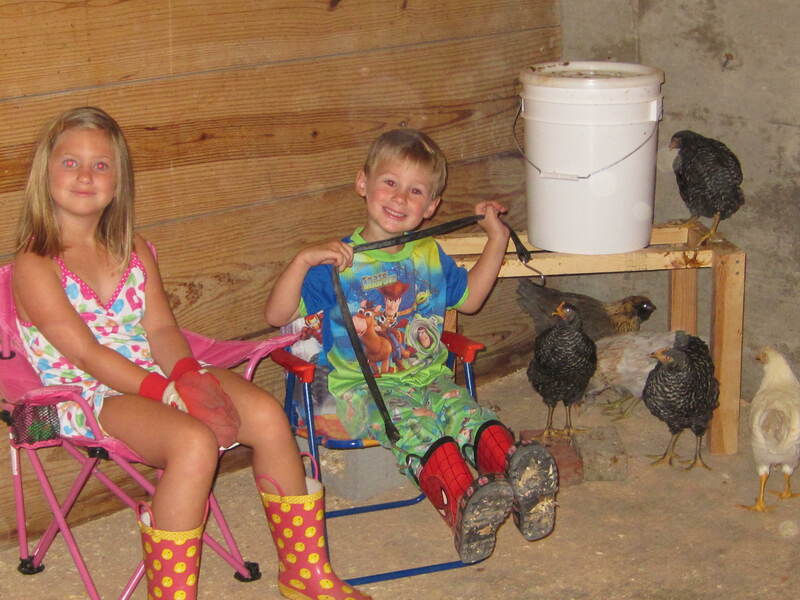 Friday night before bed, both kids (spontaneously and unbeknownst to each other) asked me to wake them up so they could help with cle aning the coops in the morning. This is a chore I do weekly – usually on the weekends. Happily surprised, I agreed to wake them. However, when the early morning came, I caved and let them sleep in. After a quick breakfast, I continued to the coops to clean. Moments after I started, I heard little clomping feet and knew it was my little guy. He said, “Why didn’t you wake me?” I explained that I wanted him to sleep a bit longer. However, secretly I was tickled that he was so motivated to come out and “help” me (although I use the term ‘help’ loosely).